WHAT: A diverse coalition of sixteen organizations and agencies with ties to agriculture have been working for more than two and a half years to develop a practical plan for monarch conservation. past, while identifying strategies to meet the goal of increasing future pollinator habitats. 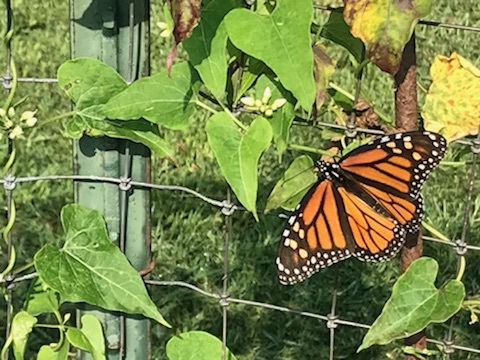 The Illinois Department of Agriculture (IDOA) will also be announcing plans to construct new pollinator habitat areas around the Illinois State Fairgrounds, while holding a groundbreaking ceremony. WHY: Efforts to help save the monarch butterfly are a worthwhile endeavor. While there is no single solution to the decline of the monarch butterfly population, by working together, groups, businesses and individuals can help increase monarch populations to sustainable levels. This press event will demonstrate how Illinois agriculture has been a leader on the monarch issue and will continue to play an important role in the future, while providing ideas for all citizens to become more involved in making a positive difference in pollinator conservation.